In a competitive investment industry where one one-hundredth of a percent on return may make or break a fund, investors of any asset class face challenges of identifying each and every factor that may impact overall capital return. Real Estate centric funds promote average portfolio performance, but investors must delve into the actual costs of the investment when deciding on proper capital allocation. Management fees charges vary significantly between domestic and foreign real estate funds, so how can a domestic real estate investor understand and evaluate the various management fee structures within real estate investment funds? While Anglo funds (US/UK) assess management fees based on net equity, European funds charge fees based on the gross asset value. Additionally, many European funds charge additional fees for asset acquisitions. Whether charges come in the form of purchase heavy loads or consistent management fees, expenses passed on to investors accumulate to extraordinarily significant levels. Today’s global economy combines with technology-driven transparency to directly penalize any uncompetitive fee structure. So, which cost structure benefits investors; the US/UK Model or the European model? While there is no "right or wrong" fee schedule within the real estate fund industry, investors must understand that the incentives provided to fund managers will ultimately dictate the operations of the fund. For example, flat management fee-based funds may have a tendency to avoid tumultuous markets, and managers compensated to engage in asset acquisitions may dive into murkier markets to maintain internal management fee requirements. Still, it is important to remember that management fees remain relatively small when compared to the aggregate returns provided by the real assets managed by the funds. Management fees are often combined with "performance fees" to maintain managers’ focus on asset returns and not on management fees. Any fund perceived as "churning" deals to earn fees will quickly become non-competitive within the fickle real estate fund marketplace. The opposite argument maintains that compensation based on net equity provides little incentive to manage an aggressive growth pace or acquisition rate. However, a net equity-based fee promotes proper levels of debt and tends to avoid over-leveraging by aggressive or inexperienced fund managers. Above average levels of debt may squeeze up portfolio returns, but that risk coefficient may be palatable for some investors in exchange for above-market returns. At least, in this case, the investor has incentives aligned with the fund manager – overall portfolio returns. In the European model, the risk of a divergence of incentives may develop as managers are concentrated on transaction volume, while investors receive no direct benefit from the same increased transaction volume. 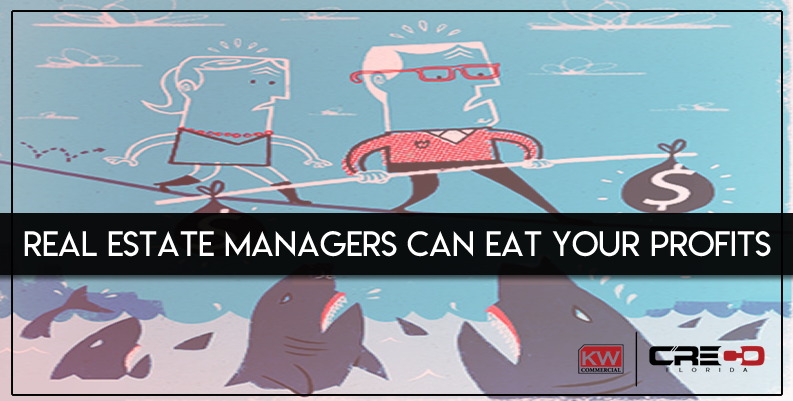 It may be argued that a management structure is preferable when all incentives and objectives are aligned. Verdict:The case is a bit stronger for the "net-equity" US/UK management fee model. Not necessarily for the incurred expenses, but because fund managers are not rewarded for taking on undue risk (i.e. ; increased debt, and a high-volume acquisitions). Still a little confused about REIT or Real Estate Fund investing? Contact Keller Williams Commercial Real Estate to understand the benefits of passive real estate investing. Don’t want to participate in a "fund" strategy? We can help to establish a private real estate portfolio with passive management and many benefits to a fund investment approach.